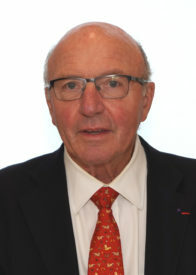 Paul Perron is Director of the Centre des Études de la France et du Monde Francophone / Centre for the Study of France, former Chair of the Department of French and Principal of University College, University of Toronto. Visiting Professor at the Universities of Montpellier and Paris VII, Distinguished Visiting Professor at National Central University in Taiwan, he has lectured widely in North America, Europe and Asia. Past President of the Semiotic Society of North America he has published many works on narratology, semiotics, New France, Québécois, 19th and 20th century French literature. He is author, editor and translator of numerous books, his most recent being: Narratology and Text: Subjectivity and Identity in New France and Québécois Literature; Classic Readings in Semiotics; Lectures de Pierre Torreilles; Quête identitaire et subjectivité dans la prose québécoise du 19ième siècle; Vladimir Propp: On the Comic and Laughter; Edgard Pisani: A Personal View of the World; Edgard Pisani: An Old Man and the Land and has recently translated Edgard Pisani: Being and Believing: Meditations. Former Associate Editor of Semiotica, the journal of the International Society of Semiotics, he is Fellow of the Royal Society of Canada, and was awarded the distinctions of Officier dans l’Ordre des Palmes Académiques, and Chevalier de la Légion d’Honneur for services rendered to French culture and education.